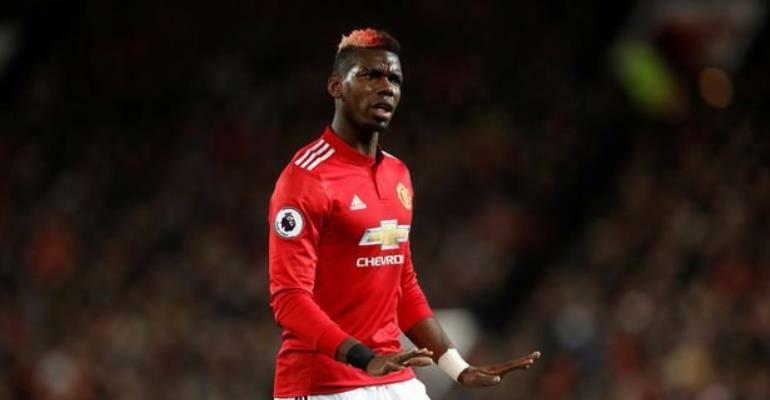 Real Madrid boss Zinedine Zidane says he likes Manchester United's Paul Pogba "a lot" and that the midfielder "knows how to do everything on the pitch". Pogba, 26, has been linked with the Spanish giants and described Real as "a dream club for every player" while on international duty with France. "I know him personally," said former France captain Zidane before Real's La Liga match against Huesca on Sunday. "He brings so much and there are few players who bring as much as he does." Pogba rejoined United from Juventus for a then world record £89m in 2016, but his future at Old Trafford appeared in doubt earlier this season with widespread reports of acrimony between him and former manager Jose Mourinho. Ole Gunnar Solskjaer replaced the sacked Mourinho in December and Pogba's form has since improved, with the 2018 World Cup winner scoring nine times under the Norwegian. "He's a midfielder who knows how to defend and how to attack," added Zidane, who returned to Real Madrid on 11 March less than 10 months after leaving the Bernabeu. United sold Cristiano Ronaldo to Real Madrid for £80m - a record at the time - in 2009, with the Premier League club saying the Portugal forward had "expressed his desire to leave". However, former Old Trafford manager David Moyes told BBC Radio 5 Live's Sportsweek United "don't let players go unless they want to let them go". "There's always speculation around Manchester United and players," said the Scot, who succeeded Sir Alex Ferguson in 2013 before being sacked nine months later. "But, ultimately, Manchester United are very professional and I'm sure they'll make sure the players they want to keep they do keep.